Professors Jason Cong (CS) and Song-Chun Zhu (CS and Statistics) are part of the University of Virginia’s new $27.5M Center on Research in Intelligent Storage and Processing in Memory (CRISP) — one of six Joint University Microelectronics Program (JUMP) centers nationwide that are managed by the Semiconductor Research Corporation with cost-sharing from DARPA. Each research center will examine a different challenge in advancing microelectronics — a field that is crucial to the U.S. economy and its national defense. The six JUMP centers are located at the University of Virginia, UC Santa Barbara, Carnegie Mellon, Purdue, University of Michigan and Notre Dame. UV’s CRISP Center will bring together researchers from eight universities in an effort to remove the separation between memories that store data and processors that operate on that data — a separation that has been part of all mainstream computing architectures since 1945 when von Neumann first outlined how programmable computers should be structured. Unfortunately, that technology led to today’s “memory wall” in which data access has become a major performance bottleneck. 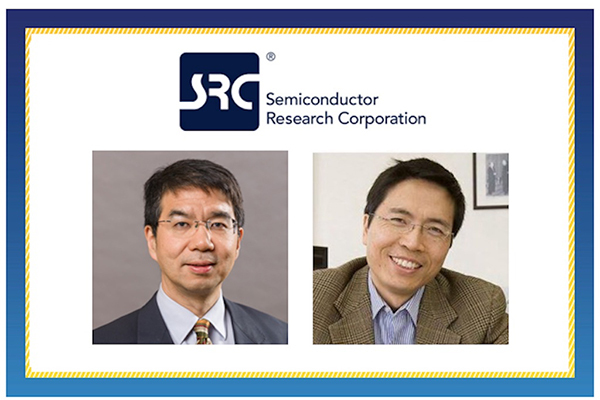 Professors Cong and Zhu will work with CRISP researchers and become instrumental in removing that bottleneck.